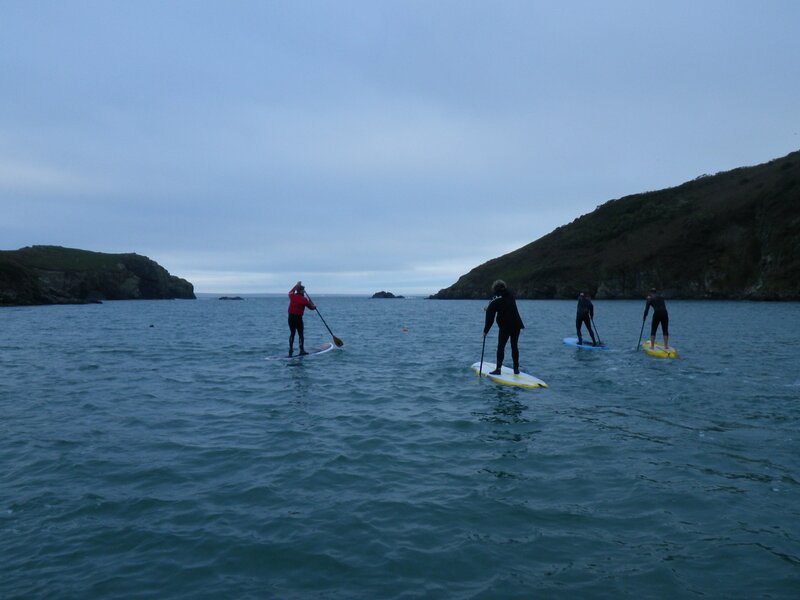 April 2014 saw the first meet of the newly formed Pembrokeshire SUP club! The weather had been looking great, but as the day went on the cloud arrived, with some dampness and a little breeze too! 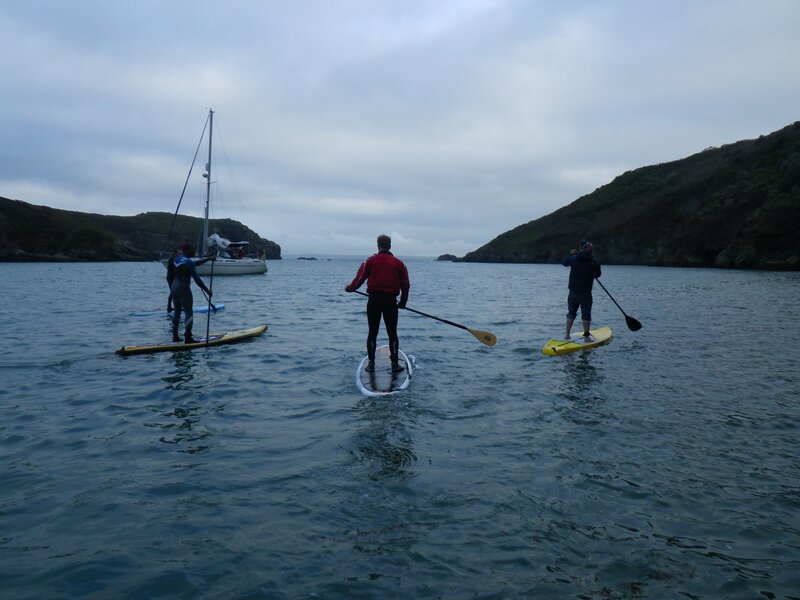 That didn’t stop the hardy ones amongst us from turning up at Solva harbour, with our smiles on, ready to meet each other! The group was small, but that was great for a first time outing as it meant we got to know each other quickly! 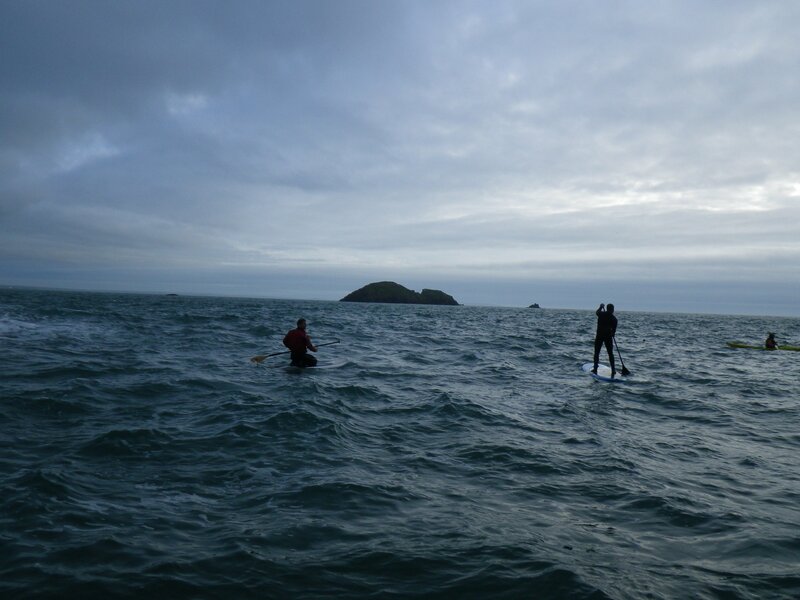 There was a mixture of people there, from first timers to others that had been exploring the Pembrokeshire coast by board for the past year. The most important thing was we were all there to share ideas, give out any coaching tips and generally be supportive in a sport we all love! Oli from Big Blue experience had brought along some lovely Naish SUP’s that were sooo new we had to unwrap them, they even smelt of new! It was great to be able to have a look at some of the newer designs coming on the market and everyone was keen to find out about all the different disciplines the sport has to offer! SUP isn’t just about paddling on flat water, there are many things you can do with a SUP- you can surf, paddle down rivers (fast flowing and slower ones! 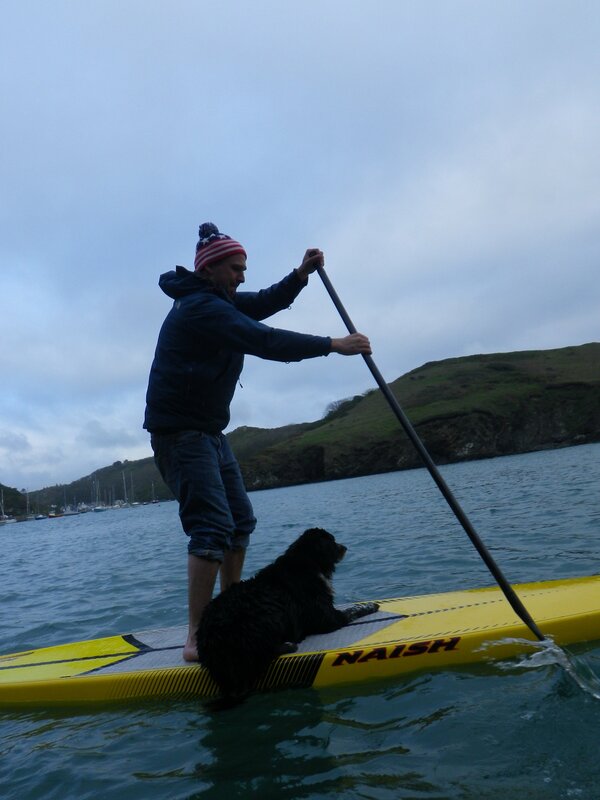 ), down wind and of course the up and coming ever popular SUP fitness- be it yoga or just doing exercises on a SUP! A few of us had a quick sprint race. Alfie was on a 12’6 touring inflatable and Ryan had more power, so I was allowed a 15 stroke head start. It must have been my solid technique, or just luck, I still managed to beat them, JUST! It was hard work but we ended up laughing and realising the guys that race them must have to be super fit! We poked our heads just out of the harbour and it was a bit choppy which meant a few more dips into the sea, but even the sun tried to peek through and we all agreed how lucky we are to live in such a beautiful place that is Pembrokeshire. After a few hours on the water we decided it was time to head back in and debrief in the pub! We chatted about the next meet up, which will hopefully be in 2 weeks’ time at a different location. There is so much to explore in Pembrokeshire, we are all very excited to see new places and have fab adventures together! So watch out for the next date and come and join in for some fun!